Concorde was a massive technological achievement. With a maximum supersonic speed of over Mach 2 (twice the speed of sound), no passenger aircraft like this has ever been built before or since. Having carried 2.5 million people in just over 30 years, Concorde's final flight was on 25 October 2003, with three Concordes landing majestically at heathrow Airport, London in England within just a few short minutes of each other, just after 4 O'clock in the afternoon (British time). Only about 20 concordes were ever made. The characteristic drooping nose was designed to allow pilots to see the runway on landing. One of Concorde's great moments shortly before the end was leading an ompressive flypast over Buckingham Palace to commemorate the Queens Golden jubilee in 2002. Celebrate concorde's life with the fabulous items below. This revised edition of The Concorde Story features dozens of extra pages and updated text. Packed with great color photos, action and archival, this is a tribute to the elegant Concorde - one of the wonders of the modern technical world. 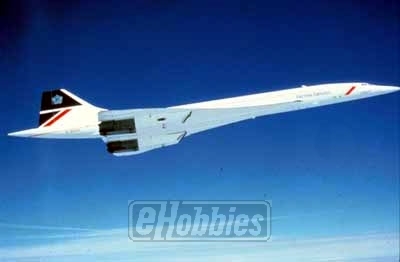 Concorde was the first successful airliner capable of speeds in excess of Mach 2 (twice the speed of sound). This book covers nearly two decades of supersonic passenger flight - from inception to prototype construction, first flights to current operations. Chapters outline the theory and dynamics of supersonic flight, chart the history of attempts to break the sound barrier and describe other supersonic transports. This enthralling book includes a pilot's account of a flight from London to New York City. The Anglo-French super-sonic airliner is one of the most spectacular aircraft developments of the last few years. The first flight of the British Aircraft Corporation and Aerospatiale joint production was on 2nd March 1969. Passenger flights started operating at the beginning of 1976 (transatlantic and middle-east routes). The Concorde has four Olympus 593 engines (17,000 kp thrust each) and achieved a maximum cruising speed of mach 2.04. Passenger capacity 128-144. This detallied contruction kit features: Nose optional in 2 positions, 2 double engines, Undercarriage optional in two positions, and Decals for Air France and British Airways. When built, your Concorde model will have a length of 17 inches. Glue and paint are required, and are sold separately. This Concorde desk lamp has a frosted glass body with a chrome plated steel finish on the wings, rear and stand. The airplane model puts out a soft soothing source of light to create an ambiance of fun and relaxation. The bulbs are included with this fixture. Chrome/ Frosted~(2)25watt C-10 Cand.F. As the chief test pilot, Brian Trubshaw tells the inside story of the Concorde, from the planning and design stages to its maiden flight and airline service. Covered are various aspects of the program, including soaring costs, problems obtaining landing rights in New York, tensions between French and UK collaborators, problems obtaining landing rights in New York, and post-delivery modifications. Insights are given into the maneuverings of politicians, industrialists, and trade unions which lead to the decline of the British aircraft industry in the 1970's. Hdbd., 7 3-4'x 10 1-4',192 pages., 100 b&w ill., 100 color. Please bookmark Piglette for gift ideas for all occasions. Piglette's online flowers and gifts shop aims to bring you the best presents for any time, whether it be a special treat for yourself, or to wish someone special a happy birthday, Merry Christmas or simply to show you care.